Myself: Hi there, and what would that be? Client: We were doing some internal server upgrades and unfortunately we’ve lost a few databases, including Yellowfin’s – long story short, we’ve lost all of our artifacts; reports, dashboards, sources…everything. Myself: Did you export all of your artifacts recently? Myself: It should be in your local repository. You’ll want the file with the most recent date in the filename (Luckily, this client had been following our advice on best practice for back-ups). Client: Let me see… oh wait, it’s there! Nice! I’ll just import this back into Yellowfin, thanks again! Now, this brings us to the question: How can I ensure that all my Yellowfin Business Intelligence artifacts are saved properly? You can accomplish this through the Export functionality in the Yellowfin application. 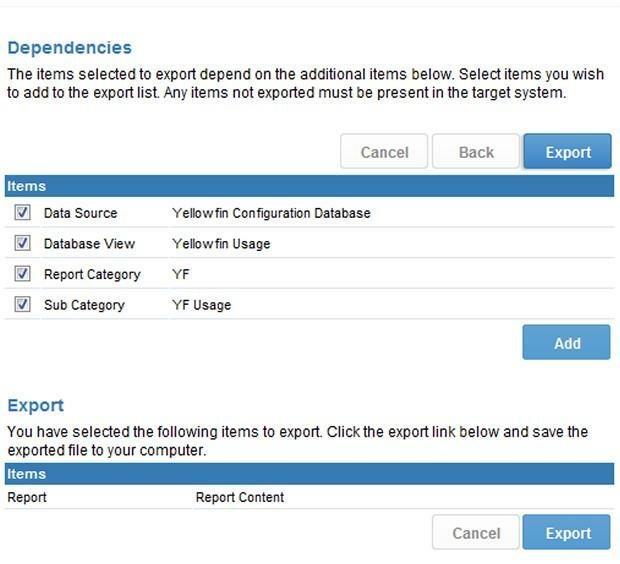 To export artifacts from Yellowfin, navigate to your Administration panel and select Export. From the dropdown menu, select the artifact type (data sources, views, categories, etc). Based on your selection, you will be presented with a list of artifacts to choose from. Tick the checkboxes of the artifacts you wish to export and click the Add button. Repeat the previous step for additional artifacts of a different type if needed. Tick the checkboxes for the dependent items. Click Add. This action will add them to the list of artifacts to export. 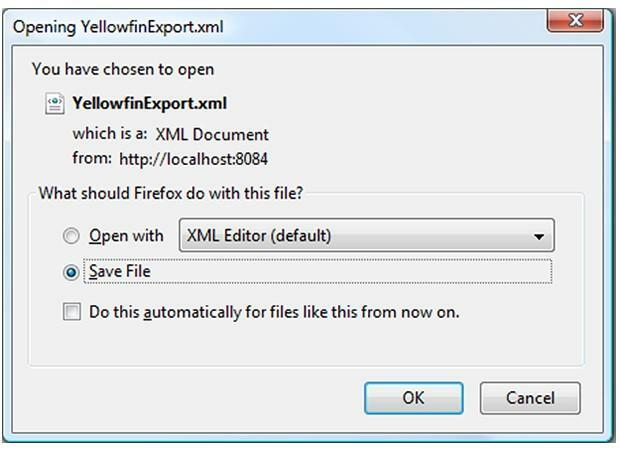 Clicking on Export will result in Yellowfin generating an XML export file which has all of your selected artifacts. Save this file in a safe location, such as a check-in repository, production artifact folder or cloud drives. 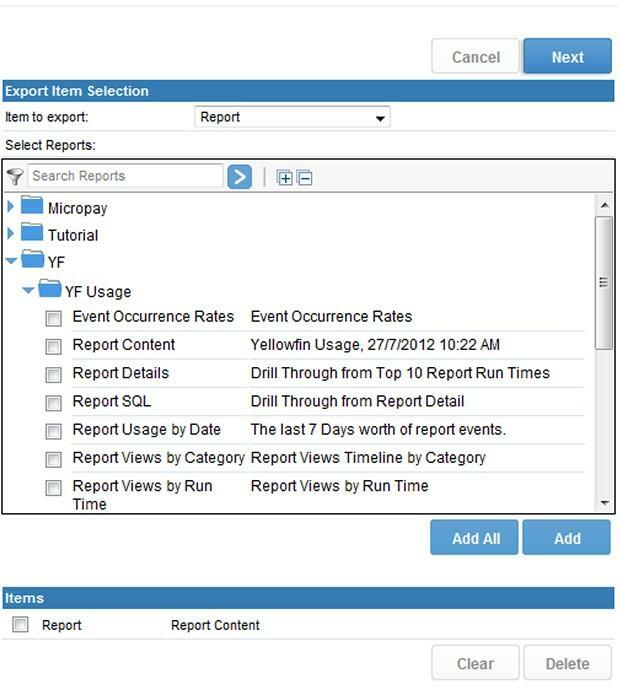 So, ensure that you take advantage of Yellowfin’s Export feature, and practice frequent back-ups, in order to avoid the disaster that one of our clients nearly experienced. 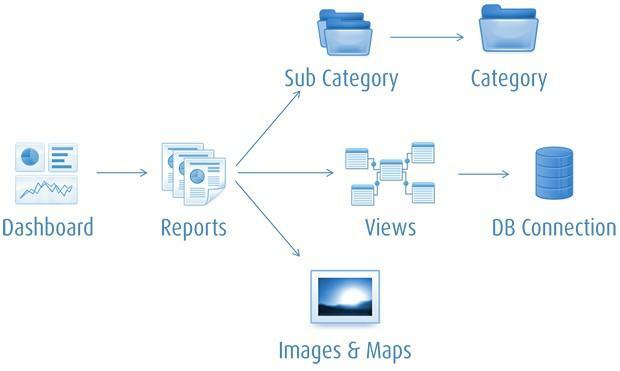 Creating multiple duplications to local and external sources. Keeping levels of back-up, even if that is the last 14 days. Remember, assuming your artifacts are safe with a single back-up copy is wishful thinking. SAFE means keeping multiple copies of critical files on different media. Whether it is databases, transaction logs or critical business files, you must always have a fallback position. Back-up to tape – preferably locking the tapes in a fireproof box, or taking them offsite. There are many ways to automate all of these protections from simple ROBOCOPY scripts, to enterprise level back-up software applications. Put these general back-up and recovery best practices into action, and you’ll never exhaust your options when a recovery is needed.